The global cosmetic market is flooded with different types of contact lenses. One of the popular types of the contact lens is coloured contact lenses. Coloured contact lenses offer you the option of enhancing your natural eye colour or creating a dramatic look easily for any occasion. Well, I would like to share one of my desire with you all. My grand mother was blessed with beautiful eye color and during my childhood, I used to admire her eye color. So naturally, I used to wish if I had the same eye color like her. And now when I received this three pairs of Geo Colored contact lenses from LensCircle.com, it seems my long waiting desire got fulfilled. So now you can imagine how much I am excited today to write this post. Well, I have tried the color lens for the first time. Geo Medical is one of the largest colored lens manufacturing company which is highly popular in Asia as well as other parts of the world. 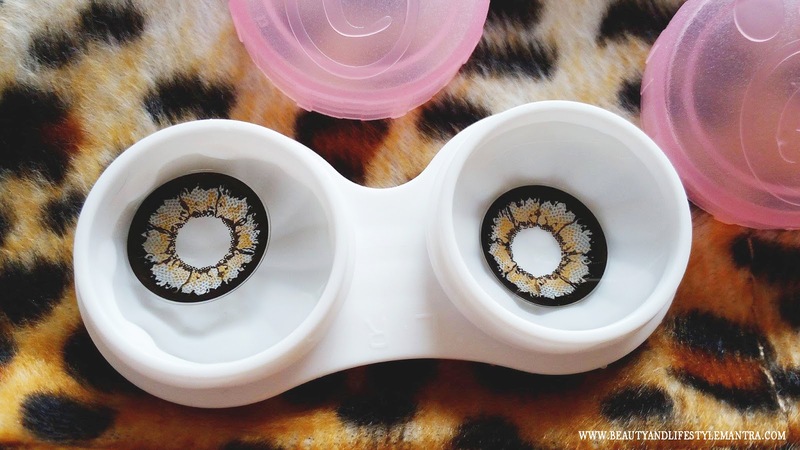 They make a huge variety of lenses with different types of colors, designs, and patterns. I was asked to choose three pairs of contact lenses from Lenscircle website. You know I'm all about that natural dark brown eye color and to be honest I was bit confused, which color and design would perfectly go with my natural eye color. Because this website has a huge variety of contact lenses. 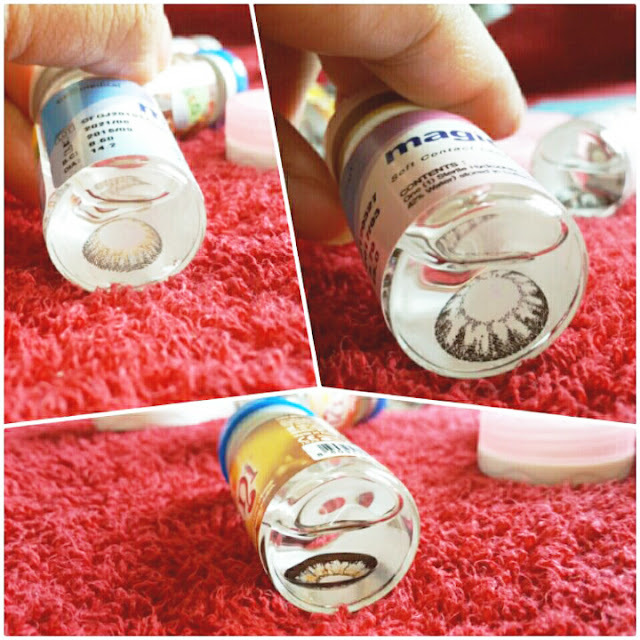 Finally, I thought to give a try on these World Circle Lenses, Grey, Cafe Circle Lenses, Waffle and Diamond Lenses, Black. I selected non-prescription lenses but they also have prescription ones. Contact lenses are a great alternative to glasses and provide freedom. They also provide much better quality of vision than glasses. Even those who want to change up their look by playing around with colored eyes then contact lenses are a great fun option. My lenses are not prescription lenses my colored lenses will make the eye appear larger and attractive. They have more styles and have a variety of designs. Which can make your personality graceful. My first pair that I tried was Geo Cafe Circle Lenses, Waffle. My personal favorite eye color out of the two. I've always wondered how they would look on me. They appear absolutely stunning and they changed my look. The lenses come in glass bottles. These transparent bottles are sealed with aluminum and rubber seal. The bottle does not contain info about the lens. But it contains the expiry date of the lens so some how the bottle is important. I received three beautiful little storage cases, small plastic tweezers, and three cute animals printed bags, a cute pink bunny case with an extra storage case that was really surprising to me. I was so excited to try them by this time I was scared too. It takes a while to wear these lenses. Because I am not experienced on this and I do not have the skills. The first pair of lens I have ever tried among these three was that Cafe Circle Lenses, Waffle. The rest of the two pairs I have not used yet (When I use those pairs for sure I'll share pictures with you). And now about the comfort. It was a bit hard for me to put them on. 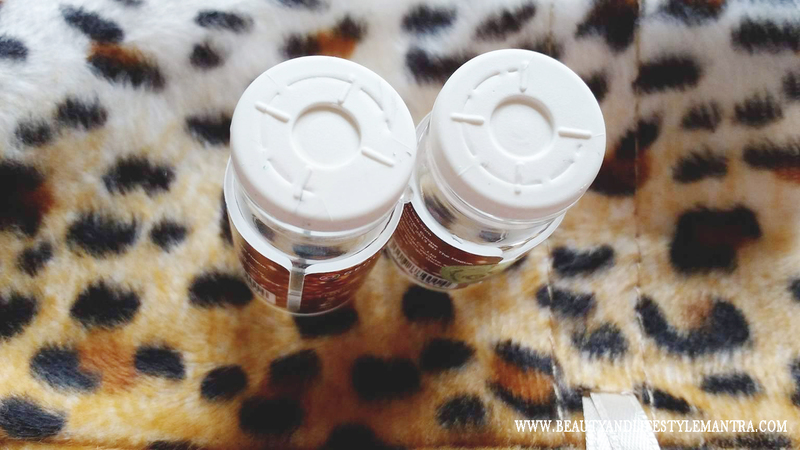 But trust me when I wear them I have not experienced any discomfort, redness or dryness and itchiness while using. The hydration level was quite sufficient. I kept them for 3 to 4 hours, but most of the time, I forget that I'm wearing something on my eyes. All the three pairs of lenses have very beautiful designs. The pattern and the color are so bright and elegant. The original color of my eyes is dark brown. Waffle Circle Lens is Grey in color. These two colors create bit more dramatic effects with my eyes. I made a little eye makeup that totally changed my looks. My brother called me a cat. 14.8mm is pretty huge. The enlargement is enough to give you a bit big eyes look. Overall, They are very thin and soft, and the hydration level is quite good. 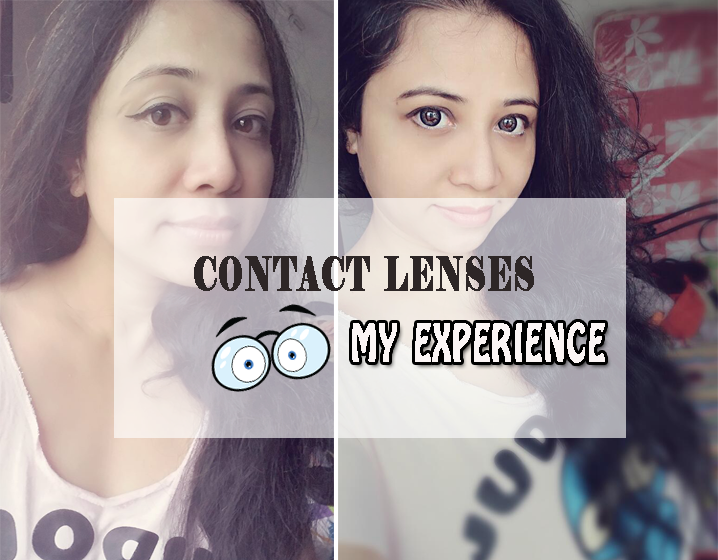 This is the first time I have used any circle contact lens and I have to say, I truly enjoy the experience. It's seriously amazing. These lenses are pretty good to wear and they definitely make my eyes appear larger. The enlargement is 14.8mm which is pretty huge, that might irritate some people. Besides this, I did not find any cons. Now, I definitely wear these for special occasions. I absolutely recommend them for purchase, especially for such a budget friendly price. 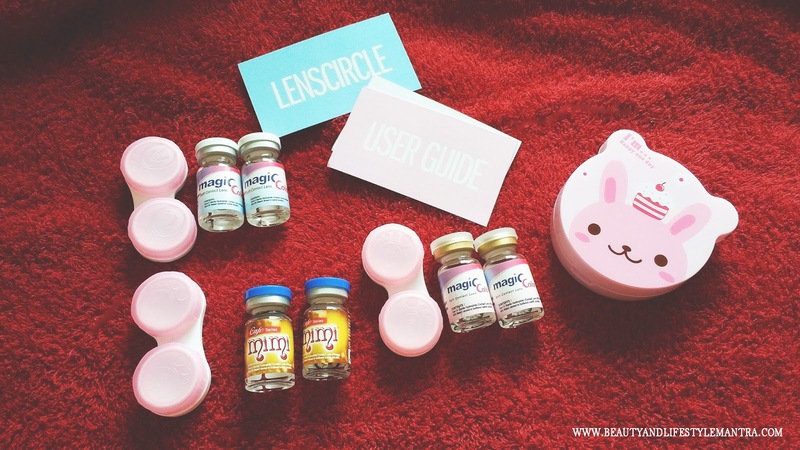 You can buy from Lenscircle.com is an authentic seller of Geo colored lenses. Have you tried colored contact lenses? How was your experience? These look really nice... I wear prescription contacts daily and always feel like trying the colored ones but somehow wonder if they will suit me or not.. They definitely make your eyes pop! I love how the contacts gave your eyes the perfect color you were looking for! I never tried Contact lenses I always fear in wearing them. But after reading this post it gave me some motivation. I have never used lenses but I am really tempted too. Your post is very informative. Thanks for sharing. You look great with them on. I like the big, bright look. Though I like contact lenses, I am so scared to use it. You have worn them with so much confidence. Oh wow these lenses make you eyes look extra pretty and big. You look beautiful with the lenses on! Suits you really well. You are looking like K-pop star and your eyes look big, bright and doll like. Like their packaging and quality of product. Really detailed post. Your eyes look beautiful and lovely. Thanks for sharing. These contact lenses are too cute. I so want to try colored contact lenses someday!